Let’s talk blowers. 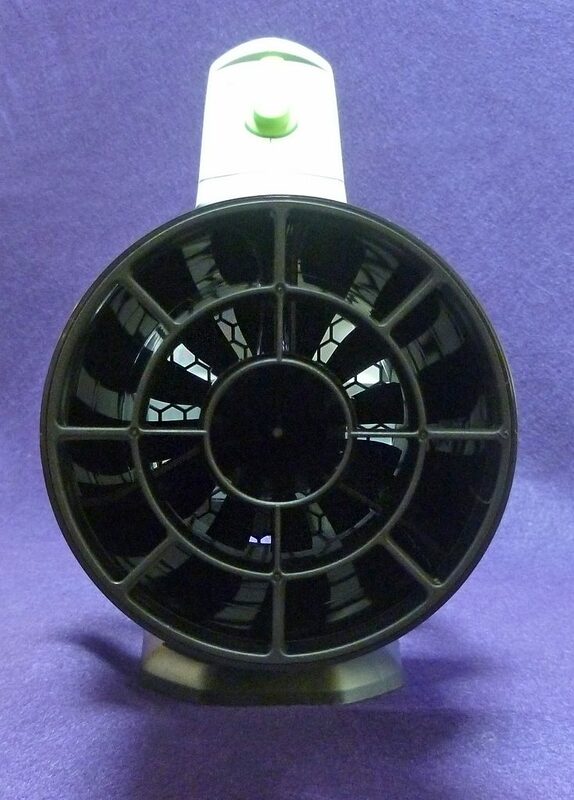 I know what you might be thinking—why would anyone bother reviewing a blower? They either work or not. That’s what I initially thought. 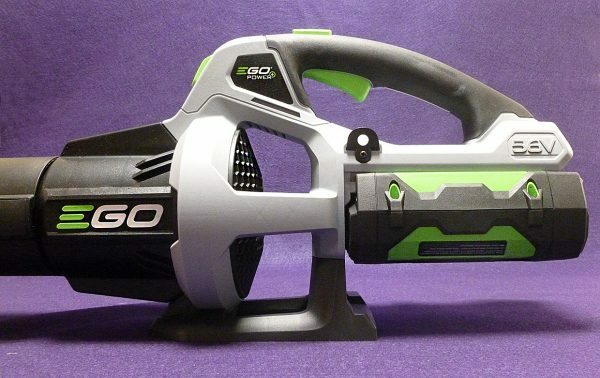 EGO, a cordless outdoor power equipment maker, offered one of their products for review and I left it up to them to choose. Imagine my surprise—and disappointment—when I opened … a blower. 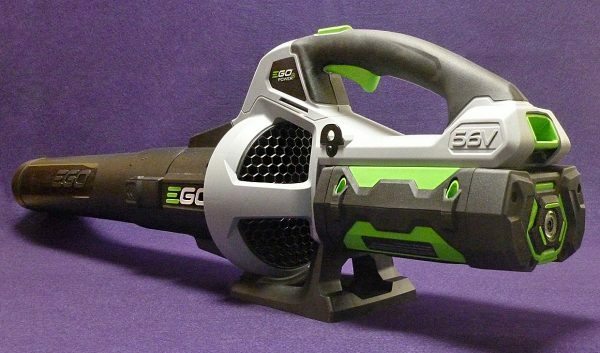 “Oh well,” I thought, “I was sent this Power+ 530 CFM Blower, so I have to review it.” I imagined myself spending hours of boredom sweeping the blower back and forth along my long driveway just as I always did with my electric Black & Decker. I couldn’t have been more wrong. All it took was one try of the Power+ Blower and it became obvious this was a different kind of blower. After fully charging the removable battery, I took the blower out to the driveway and pressed the trigger. It started immediately and I had to hold on to keep it from pushing backwards in my hand. The air speed was impressive. Then I saw another thumb-button and pressed it. Instantly, the wind speed felt like it doubled and stuff on my driveway started flying everywhere before I could get and keep control. After a while, I got the hang of it and was cleaning up the driveway faster than my B&D electric model. This was actually fun! The Power+ 530 CFM Blower has a turbine fan which operates at three speeds: 50 mph low, 85 mph high and 110 mph boosted speed. The low to high speeds are controlled by a variable speed dial. The included 2.5Ah/56V battery lasts appx. 75 minutes at low speed, 22 min. at high and 10 min. at boosted speed. That may not seem like much time, but the battery will fully recharge in about 45 minutes. Plus the battery gives maximum power until it needs recharging with no slowing down. Also, you would only need to use the boosted speed periodically. Keep in mind that battery powered yard tools may not give the usage time of gas or electric, but these tools are as eco-friendly and easy to use as anything available. This is especially helpful in an in-city suburb with their smaller yards. 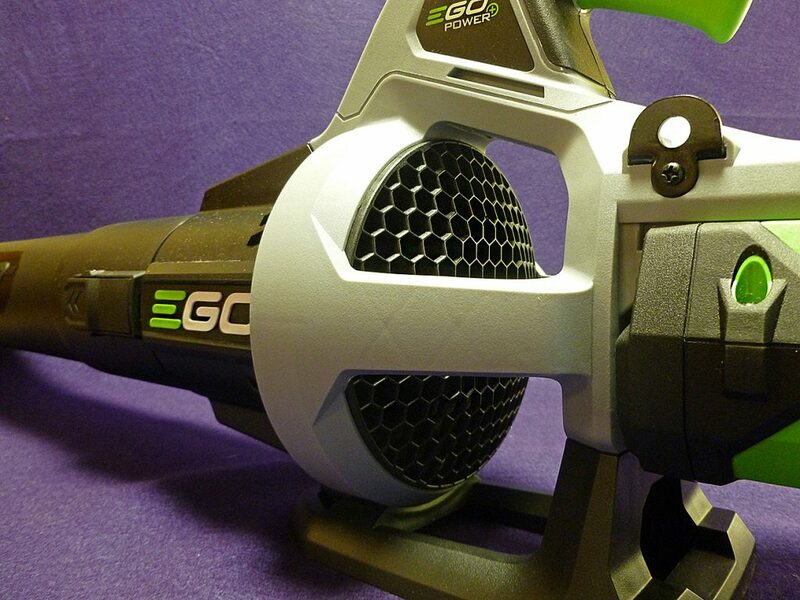 Getting up to speed (pun intended) with the Power+ Blower is quick and easy. Before and in-between uses, just remember to slide the removable battery onto the included charger. You don’t have to worry about over-charging, the charger is smart enough to shut down once the battery is full. If you wish, you can leave the battery on the blower for 30 days without any noticeable power drain. Because I’m generally careless and forgetful, I prefer to leave it on the charger. That way I know I can just grab it to take care of leaves or debris without the big production of checking gas and oil or dragging a 100 ft. cord out. I’m getting kinda spoiled by its ease of use. The Long tube snaps on easily ans is also easily removable if necessary—not always easy to do with some blowers. 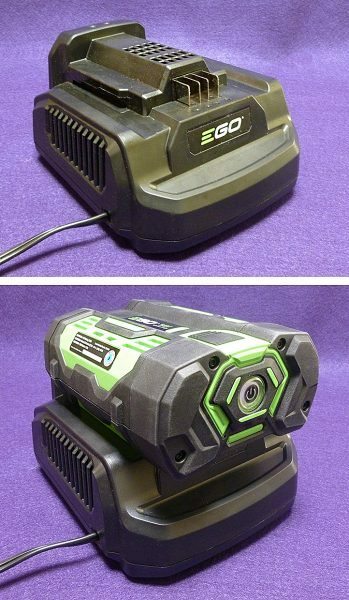 If the included battery doesn’t suit you, there are five different-sized batteries and two chargers available from EGO. The batteries are quite expensive—a downside to going green. 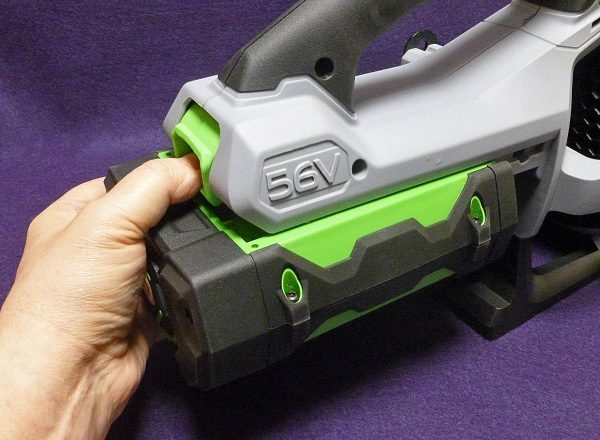 The included battery is only $50 cheaper than buying a brand new blower. 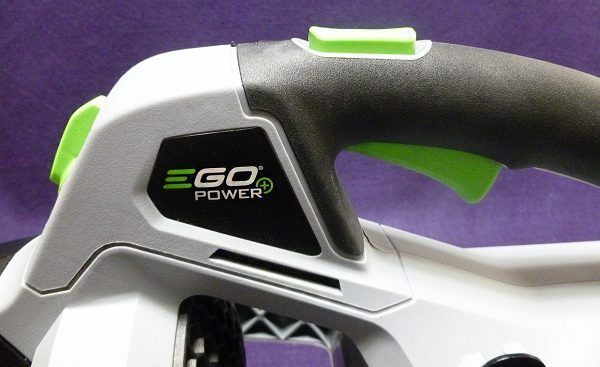 However, all EGO products can use the same batteries, so whether you are using an EGO blower, string or hedge trimmer, lawn mower, chain saw or even snow blower, you’re good to go. 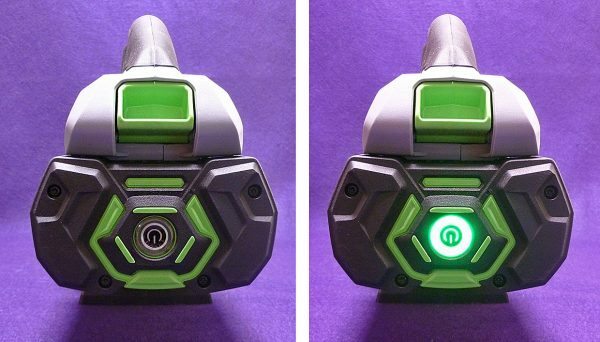 The design of the Power+ Blower is futuristic looking but also functional. It’s mostly plastic (what hand-held yard tool isn’t) but feels solid when held. Also, weight distribution is well balanced. Feeling balanced while using becomes more important the longer it’s used, helping to prevent sore muscles. 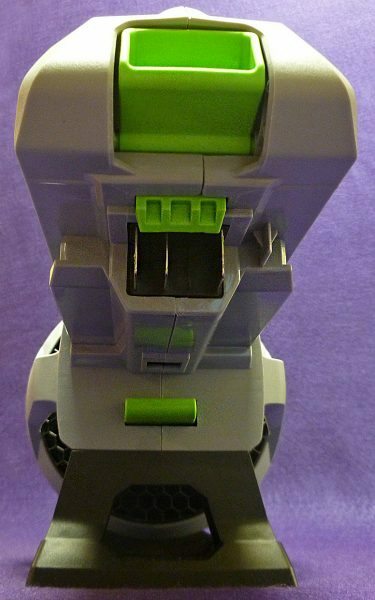 The battery snaps into place and releases with a press of a lever. Even though it’s easy to carry, many times my finger would fall on the trigger turning it on by mistake. It would be nice if there was a finger rest near the trigger—not a big deal, but somewhat irritating. An optional strap is available which can help distribute weight even better. The Power+ Blower is somewhat loud, but nowhere near the decibels of electric or gas. Plus there’s the obvious benefit of no gas fumes. If using gas for yard work concerns you, then the cordless EGO Power+ products are definitely worth considering. Who knows—you might actually have fun using them as I did. Source: The sample for this review was provided by EGO. Please visit egopowerplus.com for more information and Home Depot to order one. 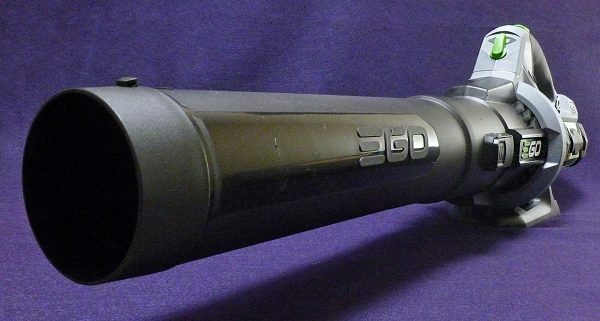 I bought the original EGO blower about three years ago when they first came out. Worked fine until last year when the Turbo boost button stuck on and it wouldn’t operate on normal speed. EGO shipped me a new one under warranty. Still using it, and with 19 trees around my house there’s lots to use it on. 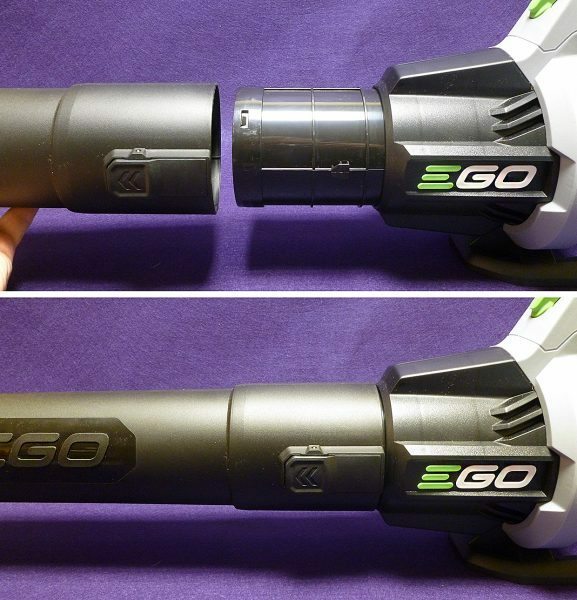 I have three EGO products (blower, trimmer, and hedge trimmer). The original trimmer was a disaster as it had constant line feed problems, but the later models seemed to have fixed that. The great thing about EGO products is the battery life, and the batteries recharge quite quickly. Not cheap, but much more convenient than filling a gas device or trailing a long extension cord. I bought one of these a few months back and like you I love it. I also bought the cordless hedge trimmer. I love how the batteries last even if the device sits for days/weeks. It is very powerful and now my OCD about keeping my front porch, walkway and driveway clean has really stepped up my need to use the blower. I would highly recommend it to anyone.